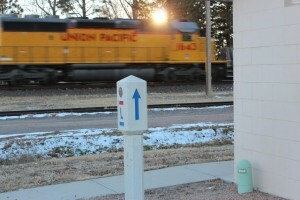 The village of Lodgepole has a long association with transcontinental transportation history. 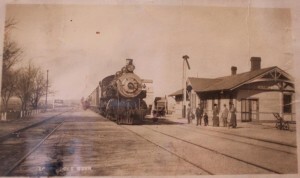 Early on, the area hosted the “Pole Creek No.2 Pony Express Station”. The Union Pacific Railroad came through in 1867 and the community was formally founded. 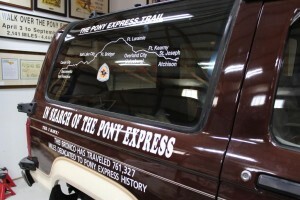 Pony Express historian Joe Nardone donated this vehicle to the Lodgepole Depot Museum. It traveled 761,327 miles to document Pony Express history. Replica concrete marker in the Lodgepole City Park. Lodgepole Opera House in History. 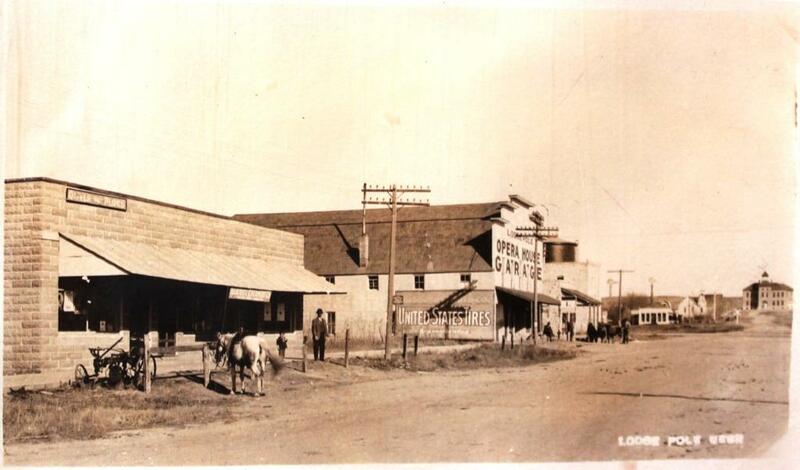 and of course, the iconic Lincoln Highway landmark Lodgepole Opera House. 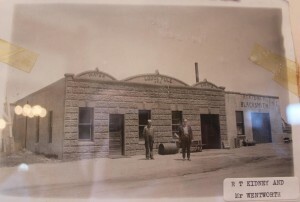 Note the sign on the side of the Opera House in the historic photo – the ghost of this sign can still be seen. 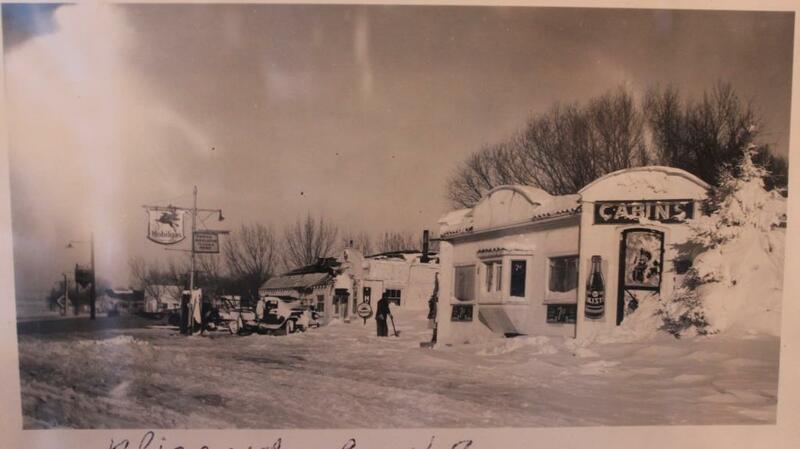 Tourist Cabins during the blizzard of 1949. 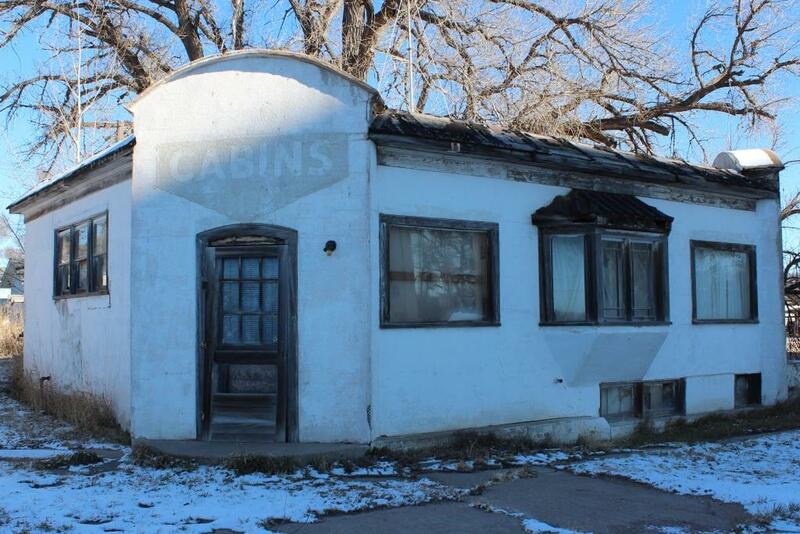 Along Highway 30 can be seen the relics of bygone era tourist cabins. The Lodgepole Depot Museum is filled with early pioneer memorabilia, and the Pony Express Annex houses items donated by Joe Nardone, Pony Express historian who is responsible for the mapping of the entire route and erection of historical markers at the sites of stations. 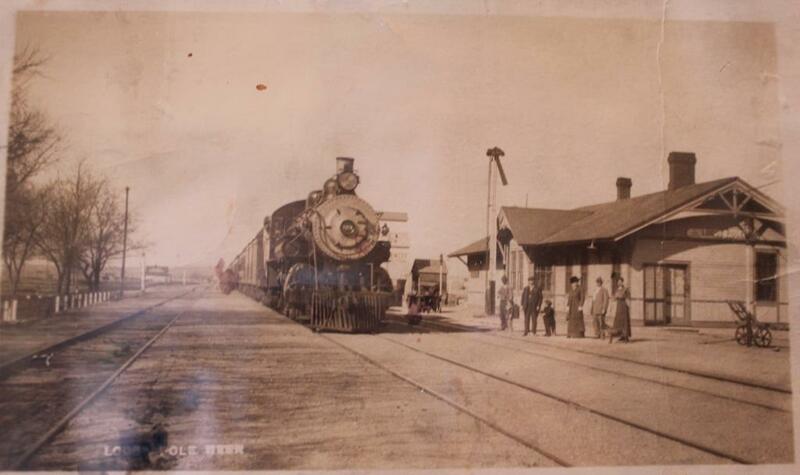 An unusual feature of the Lodgepole Union Pacific Depot is that it included living quarters for the station master. 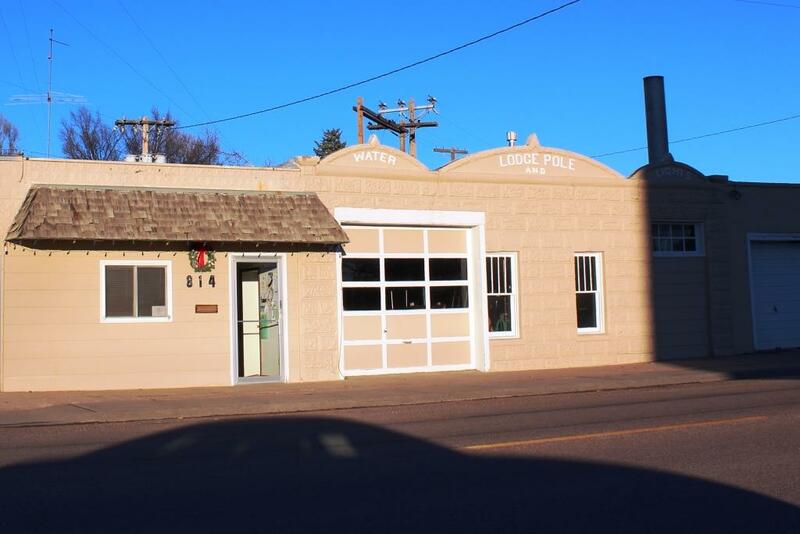 The historic Kripal Garage, though privately owned by a classic car enthusiast, is a favorite stop for Lincoln Highway travelers. 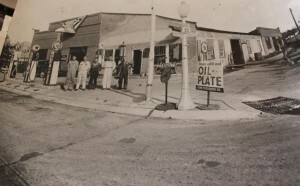 It is filled with memorabilia dating back to the heyday of the historic road, and brings back nostalgic memories of full service gas stations and main street America car dealerships. Lodgepole Light and Water, and Village offices. Historic Light and Water building. 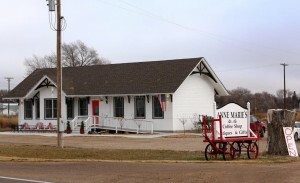 The modern Nancy Fawcett Memorial Library hosted the noon business meeting of the Byway Board of Directors, and the Lodgepole Community Hall, a refurbished Legion Hall, was the site of the evening informational meeting. A dozen local residents attended the evening meeting to hear about the history of the Lincoln Highway and the efforts of the Byway to preserve and promote the historic route. For more photos of Lodgepole, please visit our Facebook page. 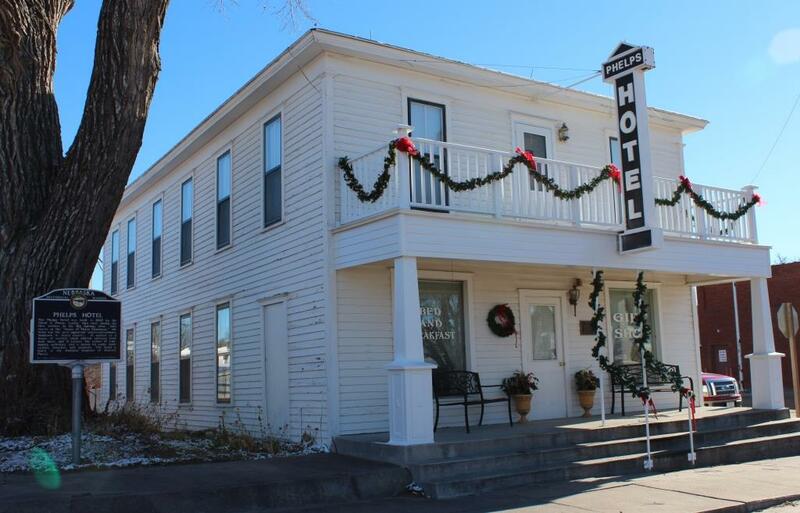 It was a beautiful fall day (that turned into a winter storm the next day) for a road trip from North Platte to Lodgepole for the Nebraska Lincoln Highway Historic Byway Board of Directors meeting in mid-November. There are so many iconic sights along the highway, this photo album doesn’t even scratch the surface. 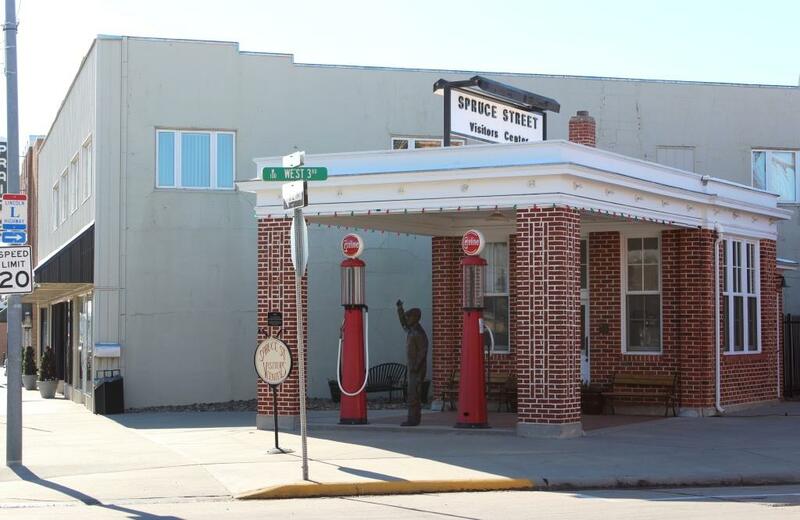 Traveling the Lincoln Highway from North Platte to Lodgepole takes just over two hours, according to Google maps. 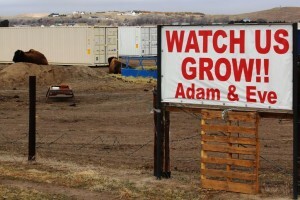 But when you’re interested in seeing all of the sights along the way, it can take considerably longer. Travelers could easily spend a day in each little town along the Byway, seeking out all of the unique architecture, relics of the Lincoln Highway and the unique ways that small towns are keeping themselves alive and serving their residents. 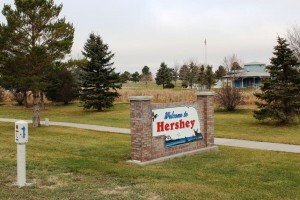 The Village of Hershey has recently installed a reproduction concrete marker in their city park that abuts the Lincoln Highway. 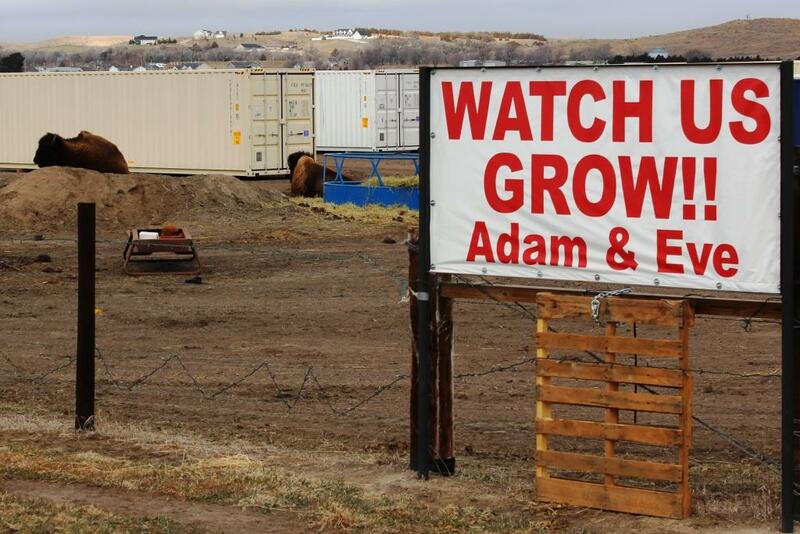 Just east of Sutherland you’ll see an unusual sight – Buffalo, apparently guarding a shipping container storage site. 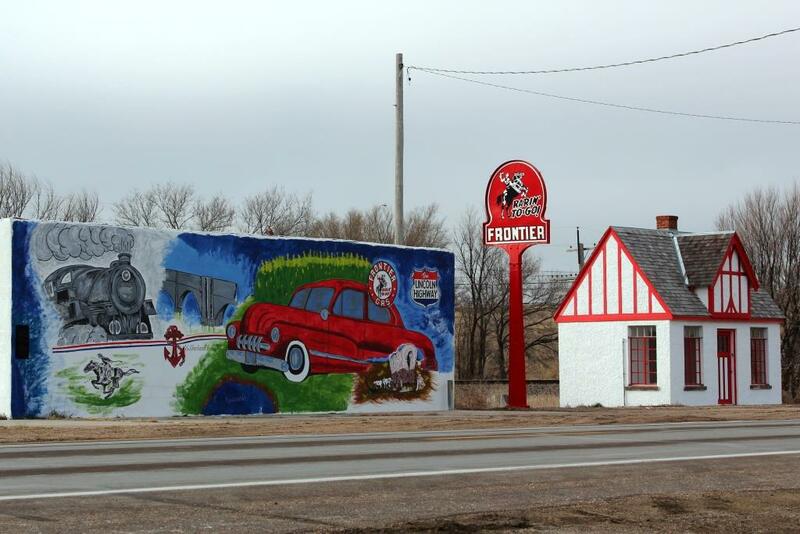 In Sutherland the community restored a Lincoln Highway era service station and installed a public art project. 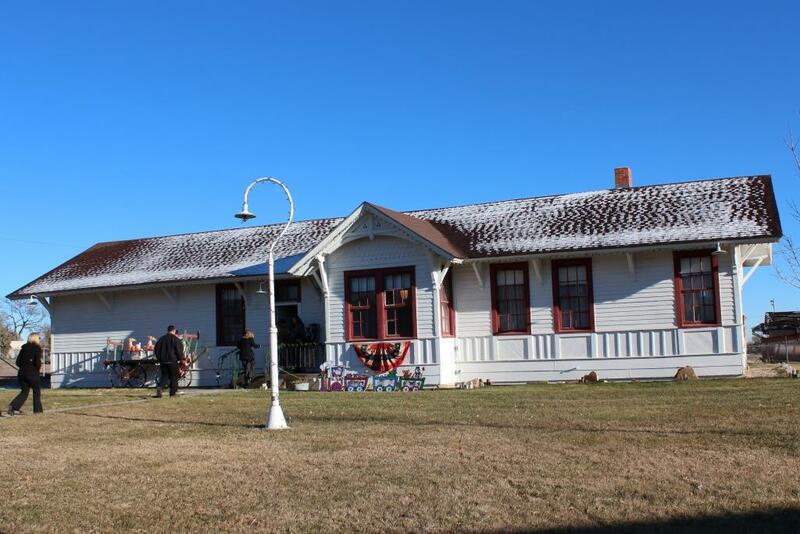 and has restored their historic railroad depot into a coffee and gift shop. and the refurbished Spruce Street Station along the original 1913 Lincoln Highway alignment through town. 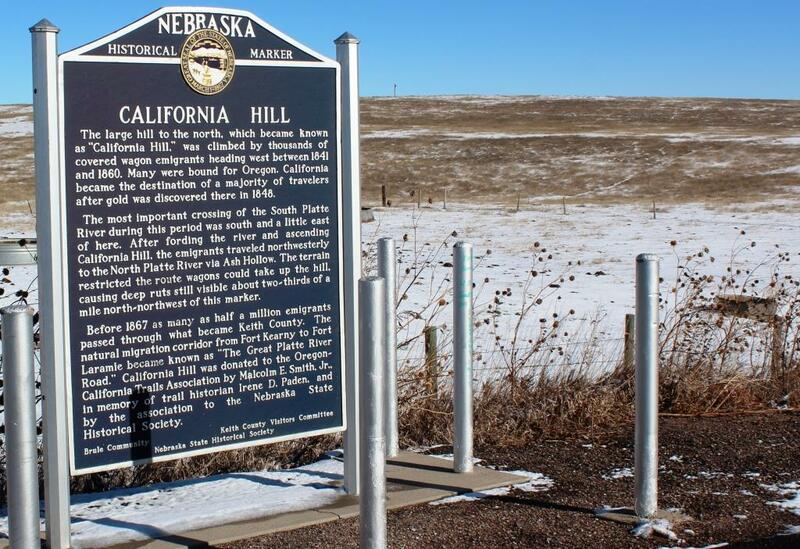 You know you’re traveling in the footsteps of the pioneers of the great western migration when you pass the historical marker for the famed California Hill. 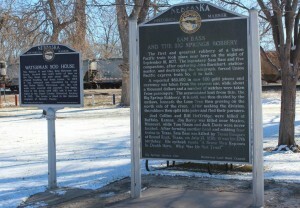 and the historical markers in their city park. There is so much more to see along the Lincoln Highway, and these few photographs have only scratched the surface of a very short stretch. When making a trip along the Byway, slow down and take the time to explore the quaint, and sometimes quirky, little towns along the road. Get up late and have breakfast in a local eatery, take a leisurely lunch – maybe a picnic in a park, and stop early so you have a chance to explore the community. Along the Lincoln, the journey is the destination! The Dawson County Historical Society and Museum provides an interesting look at how life was lived in Dawson County through the Military Hall of Honor, period rooms, the Lincoln Highway display featuring cars owned by residents of Dawson County, a one room schoolhouse, Union Pacific depot and a 1903 Baldwin Locomotive. 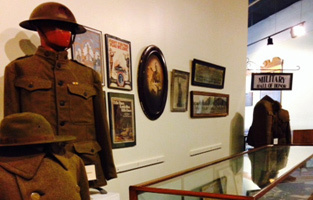 The museum also houses a research library, art gallery, and museum gift shop. 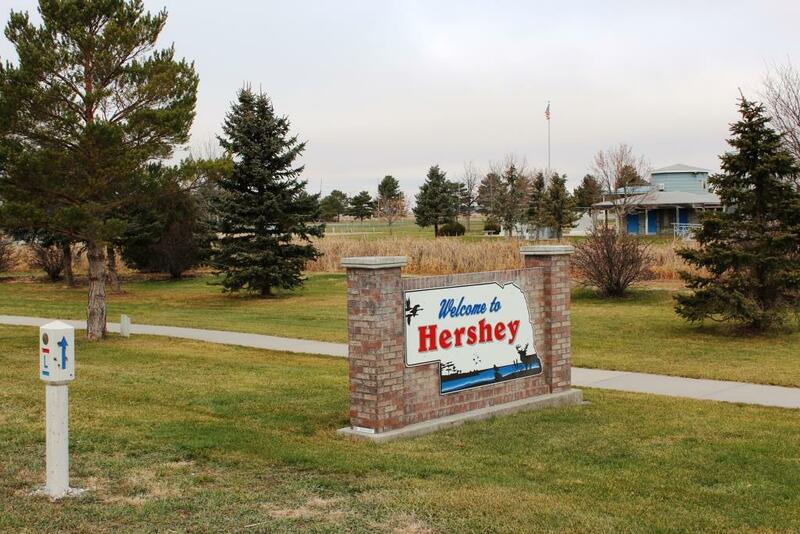 If you’re looking to hit the links on your trip on the Lincoln Highway, there are a ton of great options. Some of them are better known than others, but the North Bend Golf Course is a hidden gem that not many people know about. Now let me be clear, this is not Pebble Beach. It’s a nice little 18-hole course with very reasonable greens fees and the perfect way to fine tune your golf game and kill an afternoon. The North Bend Golf Course opened in 1994 with the back nine opening in 2001. The course is a Marty Johnson design and features the large greens he’s known for. NBGC isn’t overly long but it has some unique and challenging holes. Par is 35 for both the front and the back nines. There is water on several of the holes but sand on only one. Out of bounds comes into play on many holes and there are very few flat lies if you can’t keep the ball in the fairway. The fairways are very well maintained and the rough is lush. North Bend Golf Course is located on the west end of North Bend, Nebraska and is just south of Highway 30. The grass is very well established throughout the course. The front nine measures 2,760 yards from the blue tees, and 2,566 yards from the white tees. The back nine is longer, measuring 3,103 yards from the blue tees and 2,928 yards from the white. Although the course is on the short side, there are many challenges. Water comes into play on seven of the holes. The greens are large and very well maintained. The fairways are in great shape and the rough is lush. The 100, 150 and 200 yardage markers are easily seen, and NBGC uses the Laser Link yardage system. This course is a walkers delight. It is very flat and the distances from green to the next tee is minimal. The course rating is 67.2 with a slope rating of 108 on the blue tees. So if you want to get out and play a few holes make sure you stop in North Bend and check out their course. For more information go here. 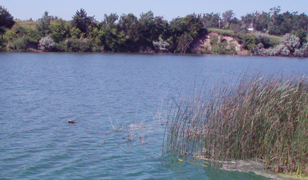 One of Nebraska’s most popular vacation spots, Fremont State Lakes, covers roughly 40 acres of land and almost 300 acres of water in 20 sandpit lakes. The state lake park is located just three miles west of Fremont. If you’re coming through on the Lincoln Highway, the Fremont Lakes can be a great option to get off of the road and dip your toes in the water. When the weather is nice, a beautiful swimming beach is available. (It’s also available when the weather isn’t nice but that’s not really relevant.) A ramp is provided for personal watercraft in the designated area, and a handicap accessible fishing pier ensures that these lakes offer something for everyone. No matter what your aquatic interests are, these lakes are a place where everyone can have a great time. Showers and clean water are provided and there are plenty of campsites for anyone who wants to stay overnight. (200 sites with hard-surfaced pads and electrical hook-ups as well as 600 primitive non-pad sites are available.) Even if you don’t want to stay overnight, the Fremont Lakes SRA has a ton of picnicking spots under mature shade trees to give you a peaceful respite from driving. No matter if you just want to take a break for an hour or stay for a weekend there’s plenty to do at Fremont Lakes State Recreation Area. 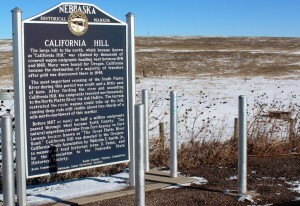 It’s just a few miles west of Fremont, Nebraska, right off the Lincoln Highway. priest named Father Edward J. Flanagan was called to help boys in Omaha, Nebraska. In December 1917, Father Flanagan borrowed $90 to pay the rent on a boarding house that became Father Flanagan’s Home for Boys. Flanagan welcomed all boys who needed help, regardless of their race or religion. By the spring, 100 boys were living at the Home. In 1921, Father Flanagan purchased Overlook Farm on the outskirts of Omaha and moved his Boys’ Home there. In time, the Home became known as the Village of Boys Town. By the 1930s, hundreds of boys lived at the Village, which grew to include a school, dormitories and administration buildings. The boys elected their own government, which included a mayor, council and commissioners. In 1936, the community became an official village in the state of Nebraska. If you’d like to tour Boys Town there are several options: The standard tour, an interactive self-guided tour, and custom tours for groups. The standard tour begins at the Visitors Center, where a step-on guide will greet you. From there, you will start a driving tour through the Village and see where the children of Boys Town live, play, work, go to school and pray. The first stop is the Hall of History. Other attractions include Dowd Chapel and the Father Flanagan Shrine, Chambers Chapel, the Garden of the Bible, the historic Father Flanagan House, the Rose Garden, the Gift Shop and Leon Myers Stamp Center, both located in the Visitors Center. Depending on the time of day, you have the option of having breakfast or lunch at the cafe. For the interactive tour of Boys Town you’ll need a smartphone with a QR code reader. This tour features ten attractions with QR codes nearby. Simply scan the code and you will instantly have access to facts, photos and videos featuring some of the most popular attractions. When you’ve completed the tour, you can stop by the Boys Town Gift Shop and you’ll receive a gift. The Andrew Jackson Higgins Memorial in Columbus, NE is a tribute to the man that Dwight D. Eisenhower called “the man who won the war for us”. Without the famous Higgins landing crafts (LCPs, LCPLs, LCVPs, LCMs) World War II would have been much different and winning the war much more difficult. Higgins was born in Columbus, Nebraska, on August 28, 1886. His early life was spent along the Loup and Platte Rivers near the city. Perhaps his interest in shallow draft boats was born on these shallow, sandbar-infested rivers. His interest in shallow draft boats, the type you would see on these rivers, was a life-long influence. During the war, his company produced over 20,000 boats for the war effort, including the famous LCVP, more often called the Higgins boat. 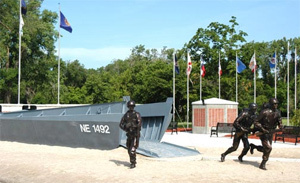 This landing craft participated in every major invasion of the war, including North Africa, Sicily, Italy, D-Day at Normandy, and the islands of the Pacific, including Guadalcanal, Tarawa, Saipan, Tinian, Iwo Jima, and Okinawa. The Higgins Memorial began as a class research project for Columbus High School classes taught by Jerry Meyer. He and his students became so taken with the story of Higgins and the opportunity to honor a native son that a research project became a community memorial. Through the work of students and numerous partnerships with volunteers and businesses Columbus has created a memorial dedicated to Higgins and to all veterans. The memorial includes a full-size replica of the famous Higgins Boat. Running from the boat are sculptures by internationally renowned artist Fred Hoppe, depicting a soldier from each of the three wars in which Higgins Boats served (World War II, the Korean, and Vietnam War). Around the boat are sand samples from landing beaches across the globe where Higgins Boats carried soldiers ashore. Brass stars hold these sand samples from D-Day beaches and are embedded in the concrete surrounding the “Higgins Boat”. This memorial is the only known location in the world to allow visitors to walk on sad from D-Day landings of WWII, Korea and Vietnam. The memorial also features five flags, the tallest honors U.S. POWs/MIAs. Flags of both Nebraska and Louisiana are displayed, representing the states where Mr. Higgins lived. Surrounding the Memorial are flags of the other 48 states and 7 U.S. territories. The American Legion, VFW, and six service flags representing the Army, Navy, Marines, Merchant Marines, Coast Guard, and the Air Force are also displayed. The Memorial Wall, which measures 8 by 94 feet, is made of Wisconsin stone. It surrounds 1,000 donor bricks and along the platform are 10 benches honoring veterans, families, businesses, and other donors. Two additional octagonal structures housing 960 bricks were added in 2002. Still to be added is another curved wall featuring an additional 1000 engraved bricks. The historical marker to the right of the Memorial displays a biography of Andrew Jackson Higgins. A bronze statue of Mr. Higgins was unveiled on August 16th by Dawn Higgins Murphy, daughter of Mr. Higgins. After 9/11, the Memorial was expanded to honor those who lost their lives on that fateful day and those who continue the fight against terrorism. Perched on a 30-foot steel beam, a 400 pound bronze eagle symbolizing freedom, spreads his 7-foot wings as he circles the memorial. The eagle was sculpted by Fred Hoppe and is made from steel taken from the fallen World Trade Center towers. The steel, assembled along side the eagle, never touching the eagle’s 30 foot beam, symbolizes that terrorism will never touch our Freedom. 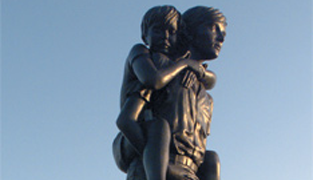 The Andrew Jackson Higgins Memorial stands as a tribute to a Columbus native son who changed history, to veterans of all eras who have served and sacrificed, and to the ongoing fight against terrorism. 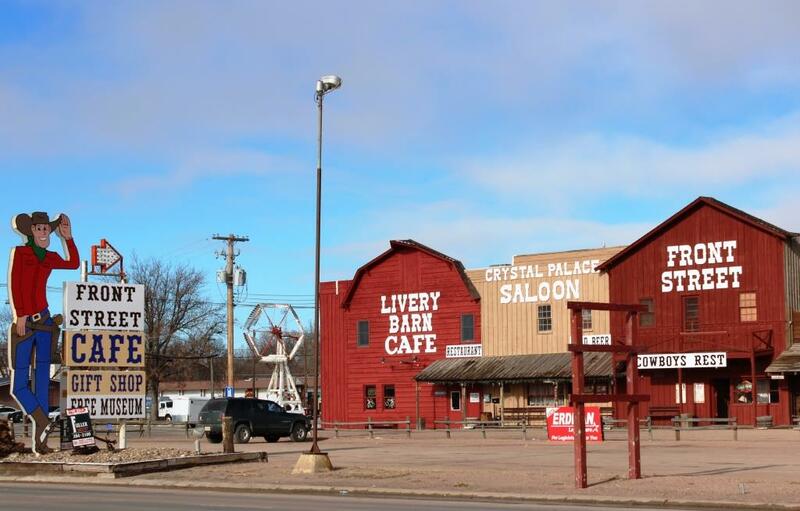 Sutherland is a little blip of a town just west of North Platte, but there are two excellent reasons to make sure you slow down or stop as you’re passing through. One is the old Burma Shave style road signs that have been put up on the side of a building right there on Lincoln Highway. These are classic pieces of both Americana and advertising history which, come to think of it, are often the same thing. 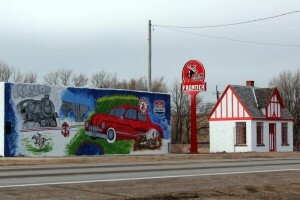 The other reason is that there is an original gas station on the western end of town and, unlike many of them, it has a fresh coat of paint and is right next to a mural commemorating the Lincoln Highway. It’ll only take a few minutes but make sure you don’t just blow through Sutherland, there’s also a charming park just off of the highway where you can take a break from the road if you need to. Ole’s Big Game Bar & Grill, aka Hemingway’s heaven, aka PETA’s hell, aka the place with all the animals. There are lots of ways you could refer to or describe Ole’s to an outsider, someone who’s never been there. The best thing to do however is to take that person to Ole’s, even if that person is yourself. If you’re looking for big pieces of meat, cold beers, a unique setting and a dash of history with a side of folklore, then Ole’s has exactly what you need. Ole’s serves big pieces of meat from different species in various cuts, cooked how you want and served how you like. That said, all of the options can be a bit overwhelming and if you’re a first time visitor you absolutely cannot go wrong with the Buffalo Burger. It’s uniformly praised as just what the doctor ordered to bring joy, togetherness and a full tummy to any traveler passing through. If you’re looking for a unique atmosphere Ole’s has that too. 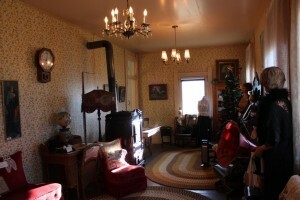 The walls are lined with the trophies of a long and prolific hunting career of the founder. There are over 200 mounts that are the result of hunting trips that covered the entire world, including a polar bear, an elephant, and absolutely anything with antlers. This is not a place for vegetarians. It is a great place for kids though. They can see all the different animals and wandering around while you wait for your food is allowed. 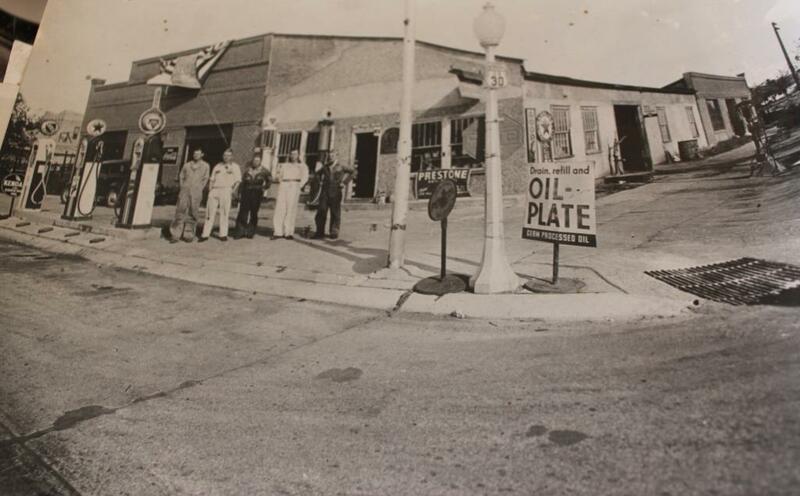 Like any fine community institution, Ole’s has history and, unlike your local rotary club, Ole’s history is colorful. Ole’s opened for business the minute that prohibition ended in 1933 at precisely 12:01 am August 9th, and the townsfolk rejoiced. 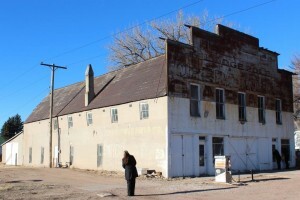 The walnut bar itself is a has a bit of folklore behind it; the story goes that it was given to Ole as payment for helping the Julesburg, Colorado baseball team beat rival Holyoke. 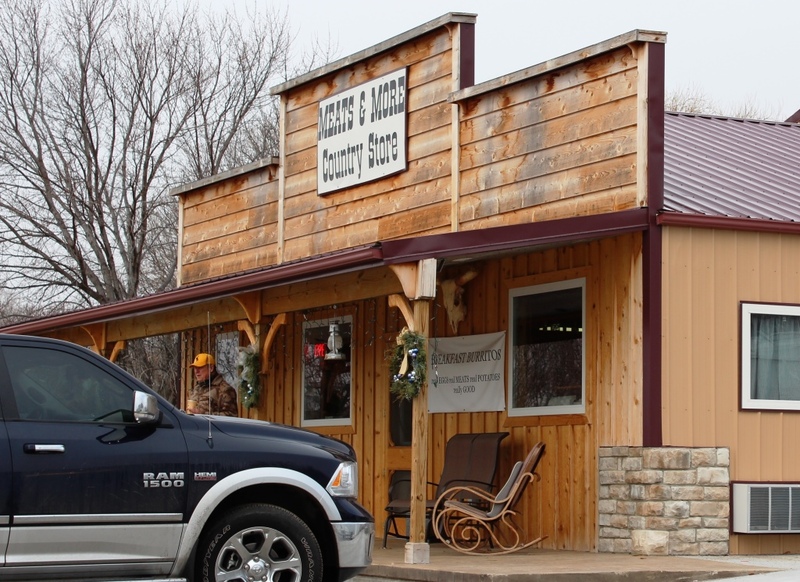 For decades Ole’s was the home base for numerous hunters and outdoorsmen who travelled to Keith County every year. 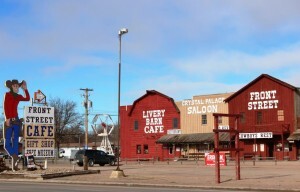 Now it’s a regular stop for travelers looking to get off the road and have a meal, in many cases a stop they make every time they travel through western Nebraska. 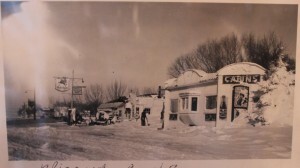 Glur’s Tavern is a must for anyone following the Lincoln Highway through Columbus. It has been continuously operated since 1876 which makes it the oldest continuously operated tavern west of the Missouri River. Just because someplace is old is not the best reason to give them money. You should give Glur’s money because they have great bar food and a good beer selection. A cheeseburger is $3.00 and they have all of your favorite fried bar goodies. When I say that their beer selection is good, that doesn’t mean that there are 97 beers on tap. They have a decent selection of tap beer and a good selection of cans and bottles. It’s a nice break given that when traveling through small towns on the Lincoln Highway you can be confronted with having no other options except for cheap domestics. 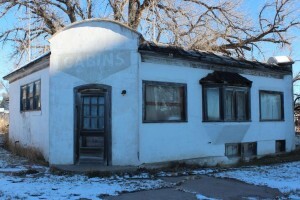 The bar itself is full of history and the kind of quirks that you would expect from a historic small-town tavern as well as some you wouldn’t expect to see. There’s a stuffed goose and mounted animal heads, old beer signs and neon’s, and quite a few of their ceiling tiles have been signed or drawn on to commemorate various occasions, volleyball championships, high school graduations (including the class of 2014… seems a bit early to me. ), and other miscellaneous events. With a great atmosphere, good food, great prices and a friendly laid-back staff Glur’s Tavern is a must for anyone traveling the Lincoln Highway through Columbus. 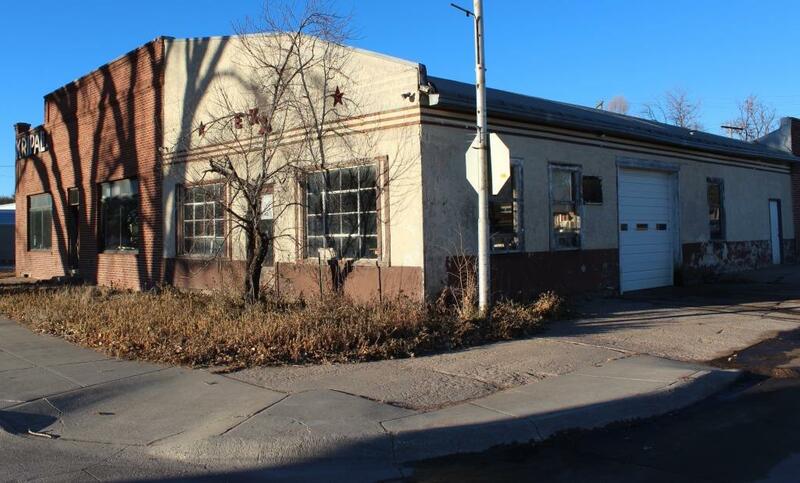 To get there take the Hwy 30 business loop to the corner of 11th Street and 23rd Avenue. You can’t miss it and you won’t regret the stop. Here the traveler has an opportunity to experience beautiful scenery as well as the area's historical importance in American history. Experience the Sandhill Cranes in the spring, explore the "stair steps" of the original Highway or stop by the visitors center. This part of the Byway follows the Platte River Valley that offers an abundance of wildlife, birding and water recreation.